Picture - RCAF FC-2L "Razorback"
The Fairchild FC-1 and its derivatives were a family of light, single engine, high wing utility monoplanes produced in the United States in the 1920s and 1930s. The aircraft was originally designed to provide a camera platform for Sherman Fairchild's aerial photography and survey business, Fairchild Aerial Surveys. Fairchild had approached a number of aircraft builders with specifications for what he considered to be an ideal aircraft for this type of work, with which he hoped to replace the variety of types that his firm then operated. Believing the quotes he received to be excessive, Fairchild opted to produce the aircraft in-house, purchasing facilities at Farmingdale, New York for the purpose. The design was for a conventional high-wing, strut-braced monoplane with fully enclosed cabin and tailwheel undercarriage. To facilitate its intended role, the cabin was extensively glazed, offering plenty of vantage points for photographers. 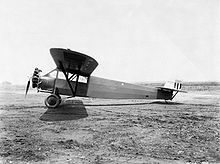 The prototype FC-1 flew in June 1926, and initial testing found its original Curtiss OX-5 engine to be inadequate. A Wright J-4 with double the horsepower was soon substituted and the aircraft was redesignated FC-1A. This was felt to have commercial potential, and in a slightly revised form, was put into production as the FC-2. The production aircraft differed from the prototype in having increased cabin volume, and was offered with a choice of powerplants. Other options included a choice of wheeled, ski, or float undercarriage. Early production aircraft fitted with only three longerons in the rear fuselage gave this batch of aircraft a "Razorback" appearance leading to its nickname. Later production series eliminated this distinctive feature. A version optimized for cargo carrying was produced as the FC-2W with a Pratt & Whitney Wasp radial engine and increased wingspan. Two of this latter version were destined for fame: City of New York, flown by Charles Collyer and John Mears for the overland portions of their record-breaking around-the-world trip in June-July 1928, and Stars and Stripes, an FC-2W2 taken by Richard Evelyn Byrd on his Antarctic expedition of the same year. Byrd's aircraft is preserved at the Virginia Aviation Museum. 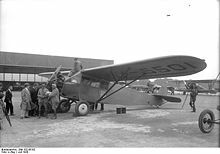 FC-2Ws were also prominently used in the 1928 rescue of the crew of the aircraft Bremen in Canada. 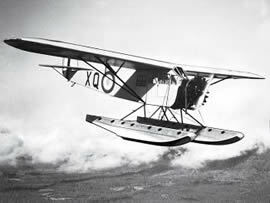 On 19 October 1927, an FC-2 configured as a floatplane made the first contract Air Mail flight operated by Pan American Airways. When unable to begin its service over Foreign Air Mail Route #4 (FAM-4) between Key West, Florida, and Havana, Cuba, on that date (as required under its contract) because heavy rains had delayed completion of the new runway at Key West needed to accommodate the company's Fokker F.VIIa/3m type tri-motor transports, PAA chartered (cost: $145.45) the FC-2 La Nix�a (NC-1654, c/n 15) piloted by Cy Caldwell and belonging to West Indian Aerial Express, a company which would be acquired by Pan Am a year later. Pan American was finally able to inaugurate daily service over the route nine days later with the Fokker F.VIIa/3m General Machado (NC-53). Due to a Royal Canadian Air Force requirement to standardize engines, the basic FC-2 design was re-engineered with a 215 hp Armstrong Siddeley Lynx radial engine and redesignated as the FC-2L. In this form, the type flew with RCAF units, primarily in northern operations. The Model 51 was a modernized version of the FC-2 produced in 1930 to compete with new transports in the marketplace, the most significant single change being the fitting of a more powerful Wright J-6 engine again. A few examples were converted from FC-2s. The Model 61 also had the J-6 engine, but included a redesigned cabin to add another two passenger seats. Only three of these were built, modified from FC-2W2s, but the cabin modification was retained in the Model 71. XJQ-1 (later RQ-2) - single FC-2 purchased by United States Navy for evaluation. Redesignated XJQ-2, later redesignated again as the XRQ-2. Taylor, Michael J.H. Jane's Encyclopedia of Aviation. London: Studio Editions, 1989, p. 353. ISBN 0-51710-316-8. World Aircraft Information Files. London: Bright Star Publishing, File 894 Sheet 03.